KIPSqatar - Why choose KIPS? 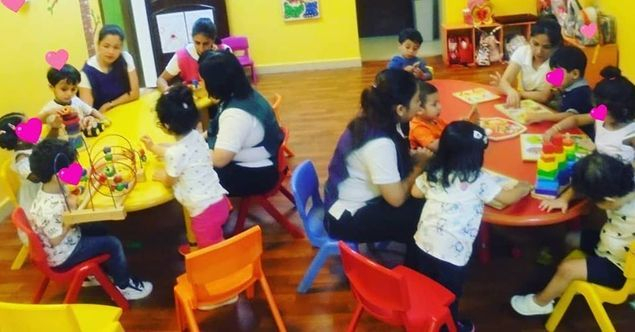 Kidz International Pre-School was chosen as the Best Nursery in Qatar in October 2017 by the Ministry of Social Affairs. KIPS celebrated it greatly with KIPS children, staff, and a team of personnel from the Ministry of Social Affairs. Prior to that, KIPS has always been included in the top nurseries in Qatar. KIPS also received an award for Cleanest Nursery in Qatar. At KIPS, safety is considered as the first priority and the first core value. KIPS follows all safety requirements stated by Civil Defence in state of Qatar, Canadian Pediatric Society and Canadian Childcare Federation. As a requirement, all safety features go through regular checkups by Civil Defence, staff and parent committee members and the status is reported to the management for required or immediate action depending on the nature of observed problems. KIPS has all of its classrooms and playgrounds on the ground floor with 6 emergency exits which are clearly marked and regularly maintained to be clear of any obstacles. KIPS is equipped with a certified and centralized fire extinguishing and smoke detection system. Each year, a fire drill is performed to make sure that all staff understand and follow the evacuation procedures. All classes and playgrounds have static-proof, fire-proof and soft vinyl carpets. KIPS follows a strict sick policy. KIPS is a Bullying free environment. Outdoor playground is safeguarded with a soft and high quality child-proof vinyl carpet. KIPS is a Nuts free environment and all parents are advised about the policy at the time of registration. Foods or birthday cakes brought to school by parents are not accepted if it has traces of nuts. All staff holds medical certificate attested by supreme health court of Qatar. KIPS is equipped with a CCTV security camera system. For a more comprehensive safety features and checklists, please visit KIPS and talk with one of the representatives. We believe eating well adds enjoyment to life, at KIPS the children eat their meals around the table as we believe having meals regularly together as a family is linked to better nutrient intake and lifestyle habits in children. We suggest families to view the Canadian Food Guide website in order to gain ideas inpromoting healthy eating habits for the whole family. To raise healthy little students, KIPS offers an active daily schedule. We know how important it is for your child to live an active lifestyle. Each class will use our specially designed soft room every day, they will take part in active classes on a daily basis. 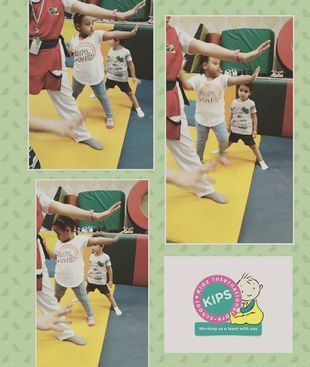 Classes include Yoga and Gymnastics, the children have lots of fun and are able to follow the simple instructions given to them from our teachers. We also offer kids dance and creative movement classes that are presented by our professionals. KIPS believes in individuality, each child has their own style and we celebrate this individuality with our child-centered activities. These activities provide children with a great opportunity to manipulate and discover their environment. Our teachers introduce rich, stimulating, and open-ended activities to our students. This allows children to establish their own style depending on their individual needs and paces of learning, children decide how to work through activities and how to finish them. Get prepared for different stages of their life. Become autonomous. In the other words, they develop their capacities to feed and dress themselves, rest and acquire good hygiene and eating habits. Develop a sense of the world. They learn the relationship between objects & events, find solutions, and learn differences & similarities. Express themselves, acquire a greater vocabulary, and progress towards a better understanding of language in all its forms. Develop a sense of self. They develop their self-confidence, learn to live with others, respect the rules and resolve conflicts. 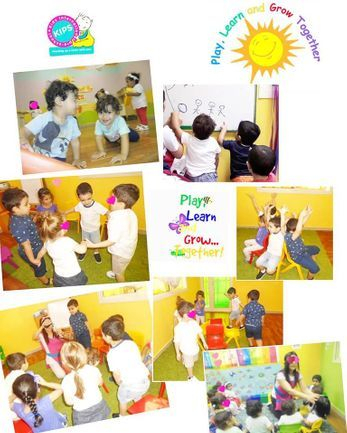 At KIPS, each class is equipped with age-related toys and activities. The classes have different corners each one designed for a particular type of game. Our children have access to cognitive, discovery, reading and relaxing corners. We look at the environment from our children’s perspectives to make sure everything is accessible for them. At KIPS, parents are considered as partners. We believe that by working with parents through continuous, open communication and sharing the information, we can provide a safe and home like environment for our children. Hence, being flexible and open with parents is always an essential point in KIPS. theories, Waldorf and Reggio Emilia. Below is a short explanation about these brilliant theories. is strongly discouraged for younger children. This program is based upon the preschools developed by Loris Malaguzzi and the people of Reggio Emilia, Italy in the 1940s. 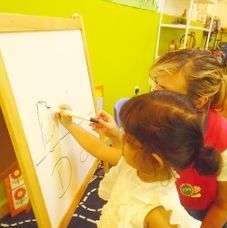 Their emergent curriculum reflects the interests of their students and learning is collaboration between teachers and students. Teachers document their students’ learning and play through pictures and words. 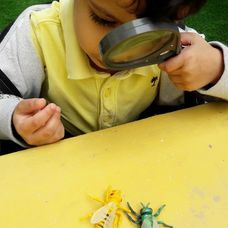 Reggio Emilia programs emphasize creativity and artistic pursuits, and they consider the educational environment as the “third teacher,” playing a crucial role in the education of their students.